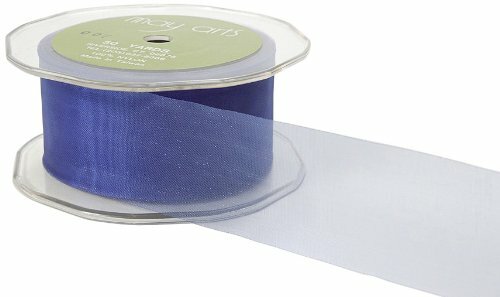 This 1 1/2 inch by 50 yard roll of classic sheer blue purple ribbon will add style and color to your floral arrangements, wedding bouquets, scrapbook pages, and home decor projects. This ribbon is perfect for Easter, Mother's Day, Christmas, gift baskets and wrapping presents. This ribbon is also available in many other colors and widths.